Originally aired Monday 25th April, 2011 - 9pm, Channel 4. Innovative entertainer Derren Brown returns to Channel 4 in a unique TV experiment lifting the lid on faith healing. The one-off Easter Monday documentary special sees Derren go undercover to investigate the reality behind the faith healing phenomenon, in America, and the belief in faith-inspiring miraculous recoveries. The final phase of the volunteer's extraordinary challenge will see them attempt to perform faith healing miracles live in Texas - will Derren's new recruit be accepted as a faith healer or cast away as fake healer? Is the belief in divine intervention really justified or will Derren expose the industry as one giant hoax? On his first TV pursuit into faith healing, Derren says 'You are about to see a world where greed and deceit raise their ugly heads, where lives have been needlessly lost and where hope, the most precious gift of all is pedalled at a price'. 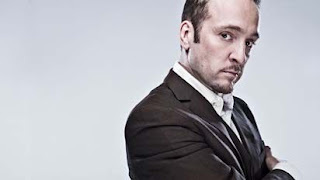 Derren Brown: Miracles For Sale is produced by Objective Productions for Channel 4. Derren Brown, Anthony Owen, Andrew Newman and Shirley Jones are Executive Producers, David Vallance is Series Producer and Simon Dinsell is Director.